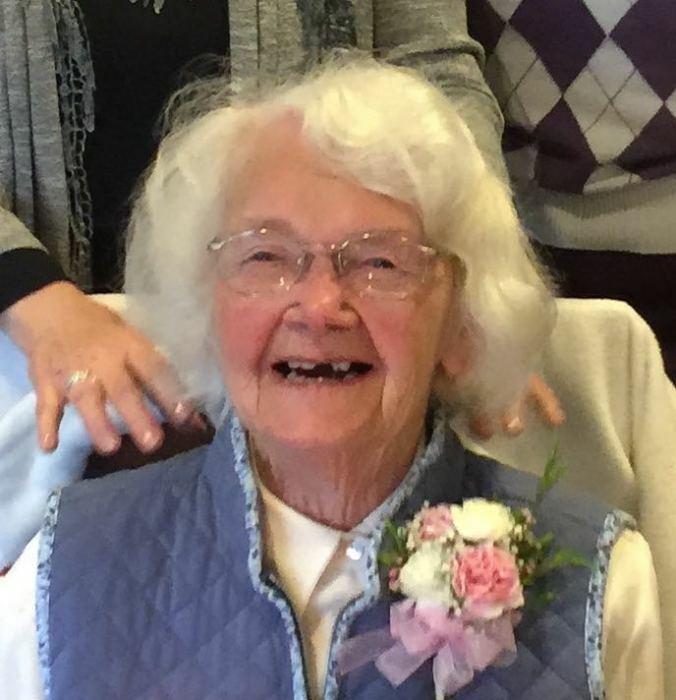 Obituary for Catherine (Keller) Allison | Brewer Funeral Home, Inc.
Catherine (Keller) Allison, 96, mother, grandmother, and great grandmother, passed away peacefully, Thursday evening, March 21, 2019 at Glens Falls Hospital. Born on May 16, 1922 in Flushing, Queens, she was the daughter of the late Joseph and Mary (Heil) Keller. She was a graduate and salutatorian of her class at Jamaica High School. She earned a degree in business from Heffley Business School in New York City. During World War II, Catherine worked as an auditor for General Foods in New York City. She worked as an account clerk for the Warren County Department of Social Services and for 24 years for the Warren County Office for the Aging. Catherine was a devout Christian and longtime member of the Redeemer Reformed Presbyterian Church in Queensbury. Her family and faith were the most important things to her. She enjoyed gardening, flowers, cooking, baking and family gatherings. She was predeceased by her parents, two sisters and three brothers. Catherine married in 1946 and had three children who survive her: Wanda (Richard) Armitage of Glens Falls, Susan (Lewis) Chase of Moreau, Wayne (Maryellen) Allison of Lake Luzerne; five grandchildren: Michael Durling, Emily (Shane) Durkin, Lewis (Kathy) Chase III, Karen (Gabe) LaFond, Samuel Chase; twelve great grandchildren: Sarah, Elizabeth, Lewis IV, James and Anne Chase, Margaret and Jillian Durling, Julianna, Mikayla and Joshua LaFond, Ellery and Finley Durkin; a grand dog, Hunter Allison; a sister, Ellie Sharpsteen of Renton, WA; a brother, Robert Keller of New Rochelle; several nieces and nephews. Friends may call Monday from 4-6 p.m. at Brewer Funeral Home, Inc., 24 Church St., Lake Luzerne. Funeral Services will be conducted 10 a.m. Tuesday at the funeral home with Pastor Edward Suffern, officiating. Burial will take place later this spring in Luzerne Cemetery, Lake Luzerne. Contributions in Catherine’s memory may be directed to Redeemer Reformed Presbyterian Church, 548 Luzerne Road, Queensbury, NY 12804.